In 2017, Seoul introduced new public spots such as Seoullo 7017, Gyeongchun Forest Line, Seoul Battleship Park and the Oil Tank Culture Park which are part of the regeneration projects of the Seoul Metropolitan Government. It’s really amazing how these facilities were transformed into an environment-friendly sites instead of just knocking them down. The Oil Tank Culture Park is within 500m distance from the Seoul World Cup Stadium. I got interested about this park because of the Korean Drama Hwayugi so I added it to my itinerary when I came back to Korea last spring. Getting there is easy. You can take the subway and get off at World Cup Stadium Station Line 6 and come out at Exit 2. You will immediately see the World Cup Stadium upon exiting. I was curious about how the stadium looks like and why people are coming in, I entered the main door and just saw the IMAX theater. I didn’t go in further. There was also a shopping area outside the stadium. The park is connected to the walking path along Maebongsan Mountain. Follow the path and you’ll see signs which will lead you to the culture park. There are 6 tanks and the first tank I explored was T5 which is tagged as ‘Story Hall’. It was a good idea to see T5 first because it has the history of the culture park. The Mapo Oil Depot has been built to supply oil for future oil crisis and been restricted to public access for decades. It was shut down in the year 2000 when they started the construction of the stadium for the 2002 FIFA World Cup. Later on, the existing tanks has been transformed into cultural facilities such as exhibit hall and performance hall. It was then opened to public in September 2017 as Oil Tank Culture Park. T2 has an open amphitheater for performances. The Glass Pavilion also known as the shooting location of the popular Korea Drama Hwayugi is located in T1. It appeared several times in the drama. The T6 is a community center. It’s quite spacious. It’s has a cafe and a meeting or lecture hall. After visiting this park, I realized that it’s not just because of Korean drama, but learning about the history of this culture park makes it an interesting place and I must say it’s one of the new must-visit places in Seoul for a unique experience. Are you excited for your trip to South Korea but you don’t know what to do or where to go? Is it your first time traveling to Korea? If yes, read up and keep these things in mind. They say Koreans travel by BMW (bus, metro and walking). Wear your most comfortable shoes because will definitely do a lot of walking while in Korea. Korea has four seasons. Before traveling to the country, do some research on the weather. It’s freezing during winter season from December to February so make sure to wear something that will keep you warm. It is still cold in early spring, from March to early April. The weather becomes warm from mid April. Summer is from June to August. Summer in Korea can be really hot and it usually rains a lot. Autumn is from September to November. It becomes really cold from late October. One more thing, girls can wear mini skirts or shorts but please avoid wearing revealing tops. The Subway Korea app is an offline app where you can find everything you need in taking the subway. You don’t need to connect to a wifi for it to work accurately. There are a lot of trains in Korea and the transfers can be confusing if you are not to used to their system. So get this app and don’t get lost. T-money is a transportation card which you can use in the subway, bus and some taxis. The train will be your main transportation while in Seoul since most tourist attractions can be reached by train. You can save ₩100 each ride by using T-money than purchasing single journey tickets. You can purchase the T-money card and charge it at any convenience store or subway vending machines. 5. Avoid traveling from midnight to early morning. Subways are closed at 12 midnight. If you missed the last train and you don’t know which bus you have to take, you’ll probably be looking for a taxi. But taxi fare from 12mn to 4am is relatively high compared to regular rates. In my experience, when we went to Jinhae, we came back to Seoul at past 12midnight so we had to take a taxi to go back to the guest house and it charged us at around ₩26,000 for a 5-minute ride. Foreigners can shop tax-free for a minimum purchase of ₩30,000. There are shops where you can get instant refunds. Some shops will require you to present your passport while others do not. In case you didn’t get instant refund, you can get the refund at Incheon International Airport before departure. Just look for the Tax Refund Counter at the airport and make sure you have the receipts with you. Just recently, the Korea Tourism Organization announced that foreign tourists are eligible for a 10% tax refund on hotel accommodations. Click on the link for more details and for the list of the hotels. I prefer buying souvenirs in Insadong because it cheaper. Also, if you pay in cash you can get discounts and freebies. To complete your Korea trip, it’ll be nice to experience to wear their traditional dress, Hanbok. For me, the best souvenir I can have for every Korea trip is a stunning photo wearing a Hanbok in a palace. I like wearing Hanbok because it’s comfortable to wear and it’s colorful. Did you know that you can enter all 5 palaces, National Folk Museum and Jongmyo Shrine for free if you are wearing a Hanbok? There are Hanbok rentals shops around Insadong and places near the Gyeongbukgung. Rental fees start at ₩14,000 for 4hrs. In Seoul, you’ll find restaurants in every corner. Most staff in restaurants cannot understand English but they usually have English menus. Take note, some menus require a minimum of 2 portions of order. So don’t get confused when they tell you that you cannot order 1. When you are done eating, you don’t have to ask the staff for the bill like what we do in the Philippines. You pay on your way out. You should stand up and go to the counter to pay and then you can leave. The counter is usually located near the door. You don’t have to give tips to restaurants, hotels or taxi drivers for their service. South Korea has a no-tipping culture. Koreans are nice and helpful. If someone helps you to carry your luggage or even if someone’s gone out of their way just to help you, you can just sincerely thank them. You don’t need to give tips because they will refuse to accept it or they might feel offended. But there are also situations where you have to give tips, like if you join group or package tours. Most of the times, you have to give tips to tour guides and drivers. There are discounts especially for foreigners. You can get discounts coupons when you arrive at the airport or you can get them online. This is just a reminder for a hassle-free travel. They scan luggages after check in, so wait until you are cleared to depart Korea. If they cannot reach you, they will open your luggage to remove your powerbank. It is a must when traveling to foreign countries. Every country has their own culture and tradition. And you cannot expect the locals to adjust according your needs and wants. Is it safe to Travel to Korea? Definitely Yes! I’ve traveled to Korea several times and I’ve never experienced being treated bad or being scammed. You can even leave your stuff in your table at coffee shops or at train/bus stations unattended. No one will be interested. If you still don’t know where to go, here are the usual places that tourists visit when in Seoul. Getting there: Gyeongbokgung Station, Exit 5 or Anguk Station and Exit 1. Getting there: Anguk Station, Exit 3. Walk straight from the exit (towards east) for about 5-min. Get off at Myeong-dong Station (Seoul Subway Line 4) and Exit 3. Walk for about 15 minutes following the street on the right side of the Pacific Hotel. The cable car boarding place will be seen ahead. Getting there: Myeong-dong Station , Exits 5, 6, 7 & 8. Getting there: Anguk Station , Exit 1 or 2. Go straight for about 300m. Changdeokgung, Insadong and Bukchon are close to each other. So visit these places while you are within the area. Getting there: Dongdaemun History & Culture Park Station and Exit 1. Getting there: Get off at Gapyeong Station, and take a taxi to Gapyeong Wharf or take the Gapyeong Tourist Bus. Those were just some of the popular places in Seoul and nearby places. You can add more to your itinerary if you have enough time in Korea. Enjoy your trip! Like other countries, Korea has 4 seasons and all of them have made me always long to travel back to the country. You will never run out of places to visit and activities to do as there are festivals happening all year round. I have been asked several times what is the best season to visit Korea and I couldn’t pick one season to recommend because honestly I like them all. Let me share with you some photos of my trips and recommended places each season. Autumn is really beautiful but I think spring is my favorite. Mainly because of the weather. The temperature is getting warm and it’s easier for me to wander around. Of course, the flowers are blooming which makes the surroundings romantic. Though I’m not a romantic person but I find spring to be the most romantic of all seasons. You’ll see couples strolling around wearing couple outfits and families are having picnics at the parks. They are out having fun after hibernating during the freezing winter. It’s like a start of new life, as what my Korean friend said. Now you might wonder what’s with spring? What you can expect to see in spring? It’s cherry blossom season. Cherry blossoms only last for about 2 weeks. They usually start blooming on late March and at its peak on the first week of April in some places. If you want to catch the cherry blossoms check out the forecast that’s being announced by the Korea Tourism Organization. Jinhae Cherry Blossom festival is the biggest cherry blossom festival in the South Korea. Jinhae is a district in the city of Changwon in South Gyeongsang Province where over 350,000 cherry blossom trees bloom during spring. The festival is being held every first week of April. The 2 famous spots in Jinhae Cherry Blossom festival are Yeojwacheon Stream and the Gyeonghwa Station. The Yeojwacheon is also famously known as the Romance Bridge because it is a filming location of Korean drama “Romance”. Get your cameras ready when approaching the Gyeonghwa Station. You’ll be passing the cherry trees lined rail road. Getting there: If you are in Busan, you are less than 1 hour away from Jinhae by bus. If you are coming from Seoul, traveling via KTX is the best option. There is no KTX line in Jinhae Station though, you have to transfer Mugunghwa Line in Masan or Changwon Station. And take note that train to Jinhae Station runs only during the festival. If you don’t have time to go Jinhae, head over to Yeouido in Seoul for the Yeouido Cherry Blossom festival. Getting there: Get off at Yeouinaru Station (Subway Line 5), Exit 1. 20 minute walk. In case you miss the cherry blossoms, don’t worry. There are other festivals to look forward to in spring. There’s the Yuchae Flower festival in Daejo Eco-Park along Nakdong River in Busan. Also known as rapeseed or canola flowers. You can see these flowers by mid April. Another highlight of spring is the Taean Tulip Festival in Taean-gun, in South Chungcheong Province. I believe it’s one of the best tulips festivals in the world. Check out my previous post about the Taean Tulip Festival 2017 for more info. Who wouldn’t fall for autumn? It’s the most colorful season. You can spot autumn foliage everywhere in the country. Nami Island is beautiful all season and it’s stunning in autumn. The Ginkgo Tree Avenue is Asan is also one of the best places to witness the beauty of autumn. More details about my trip to Ginkgo Tree Avenue here. If you don’t have time to go to other places outside Seoul, it’s okay, you can still have a wonderful autumn experience in Seoul. Don’t forget to visit Deoksugung, it’s a palace that’s famous for autumn foliage. I also spotted this huge Ginkgo tree inside Gyeongbukgung Palace. Winter in Korea can be really harsh. Most people hate the freezing winter. But since I live in tropical country, I enjoyed winter so much. It’s a dream come true to experience snow. Gangwon province is the most popular during winter season. There are a lot of ski resorts in Gangwon-do. It’s the host province of the 2018 Winter Olympics which will be held in Pyeongchang this February. One of the most accessible ski resorts is the Elysian Gangchon Ski Resort. It’s near Nami Island. Getting there: Get off at Baegyang-ri Station. A complimentary shuttle ride is provided from Baegyangri Station to the resort. Summer is not a new season to me. I grew up and still living in a country where it’s like summer all year hehe. Summer in Korea is really hot but not humid. It can also be considered as the rainy season in Korea. It’s the season when I traveled to Jeju Island. I was lucky it didn’t rain too much during my trip. I like the bright green leaves of summer. Because it’s summer, it’s time to sunbathe. Haeundae Beach in Busan is also a must-visit place during summer to enjoy the sun. I don’t claim to be an expert, there might be some things I’ve missed but I’m glad I’m able to share the things I learned from my trips because it’s always been a fulfilling experience to travel around Korea whatever season it may be. Now it’s up to you to decide in which season you would want to travel to Korea. Let me know if you need more information. Hey green tea lovers! I’ve got something for you. Have you heard about the Green Tea field in Boseong-gun? It has always been on my travel bucket list and I finally got to visit during my recent trip to Korea. I know not everyone likes green tea but I’m pretty sure whether you like or not, you’re gonna fall for this place. In Korea it’s called 녹차밭 (Nok Cha Pat). The name of the green tea field is Daehan Dawon. As far as I know it’s the only tourist tea plantation in the country. I’ve been to several places in Korea and I must say this is one of my favorite. In case you are interested to visit the place, here’s how I got there. Boseong is a county in Jeollanam-do. I came in from Gwangju. I purchased a intercity bus ticket bound for Boseong at U-Square Terminal. Travel time is 1.5 hrs. When you arrive at Boseong Bus Terminal, check the schedule of the buses posted in the wall. The schedules are all written in Korean though. The terminal is quite small and there are only few buses. The bus to the Daehan Dawon runs only every hour. You might want to check the schedule first to save your waiting time. Since it was my first time and I didn’t want to get lost, I asked all the drivers if it’s the bus going to 녹차밭. Most of them understand English. So don’t worry about communicating with them. While walking towards the field, you’ll pass by these woods. So beautiful. It was a very nice day. Entrance fee is 4,000 won. Did you know that this field has been a shooting location for some Korean dramas and movies? They’ve labelled each area where the particular drama or movie has been filmed. The latest drama I’ve watched that’s been filmed here is The Legend of the Blue Sea starring Lee Min Ho and Jeon Ji Hyeon. There’s the autumn foliage and some autumn flowers. Follow this path to arrive at the observatory. First you’ll see the view of Boseong and if you go up further, you’ll find a refreshing view of the ocean. Meaning you are already at the top of the mountain. Nice hike! After the hike, try out the green tea ice cream and green tea tteokbokki. Yes, you read it right, it’s green tea tteokbokki. A must-try when in the green tea field. Going back to the Boseong bus terminal is also easy. Just cross the tunnel and find the bus stop. The schedule is also posted in the bus stop. Remember to be mindful of the bus schedules as not so many buses run in Boseong. We all know that Korea has four seasons and each season have their own charms. Autumn is definitely one of my many reasons to visit the country again. The yellow, red and orange fall foliage can be spotted everywhere. Nami Island is the most visited place outside Seoul especially for first time travelers to Korea. But have you also heard about the Ginkgo Tree Avenue in the city of Asan? If you try to look for the best places to visit in autumn, this place would always be on the list. It’s a 2km ginkgo tree-lined road. During autumn, the ginkgo leaves turn into golden yellow color. I went to see the ginkgo avenue on the 4th of November and it was a little early as most leaves are still colored green. The view is still amazing though. I didn’t expect to see a variety of beautiful flowers in full bloom beside the lake. There were also chrysanthemum, sunflowers, silver grass and others. It’s like autumn meets spring in Asan. To go to the Gingko tree Avenue, via metro subway, get off at Onyang Ocheon Station (Line 1). Or via KTX, get off at Asan-Cheonan Station and transfer to Line 1 and get off at Onyang-Ocheon Station. Upon exit, cross the road to find the bus stop and take bus #900 , #910 or #920. Or take a taxi, it will cost around ₩6,000. I was told before that there’s nothing much to see in Damyang so I skipped it last April during my spring trip. But then, I felt like my trip was not complete because I missed Damyang. Then I planned another trip to Korea, this time it’s autumn. One of the best seasons to visit Korea. I decided to stay in Gwangju, it’s the closest city to Damyang-gun. From Gwangju, it takes less than an hour to go to Damyang County. On my way to Damyang, I only had 3 places in my mind. First is the Bamboo Forest and second is the Metasequioa-lined road. The 3rd one is the Geumseongsanseong Fortress, which is a bit far so I know I won’t make it there. How to go to Bamboo Forest from Gwangju? Take Bus #311 in the bus stop in front of Gwangju U-square bus terminal. 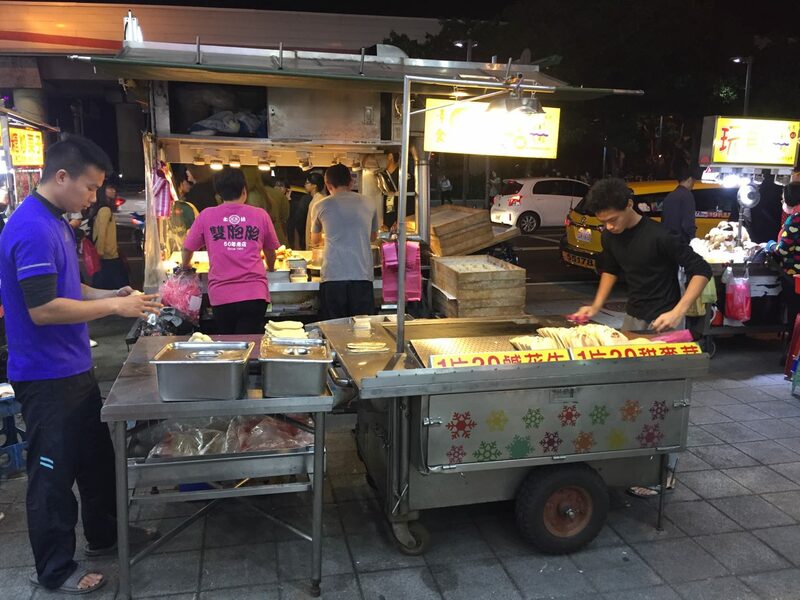 Tell the driver you are going to 죽녹원 (Juknokwon). Get off at Juknokwon bus stop. Travel time is about 45mins. This is the kind of view you’ll see the moment you get off the bus. This is so relaxing. It was too quiet. There were only 2 or 3 people during that time because it was early. The sound of the bamboo leaves as it dances with the wind made me want to fall asleep in this hammock. The rear entrance of the Bamboo Forest looks like this in autumn. While walking towards the Metasequioa tree-lined road we passed by another scenic spot, the Gwanbangjerim forest. Finally, I’ve reached the famous Metasequioa tree lined road in Damyang. It’s also a filming location of some K-dramas. Beside the Metasequioa trees, there’s the Kids Provence Metasequioa Land. Make sure to try out these traditional meal while you are in Damyang. I always like Korean food and I enjoy them every time I visit, but this one is one of the best meal I ever had in Korea. There is a Tourist information center near Juknokwon bus stop, which is on the opposite side of the Bamboo Forest. 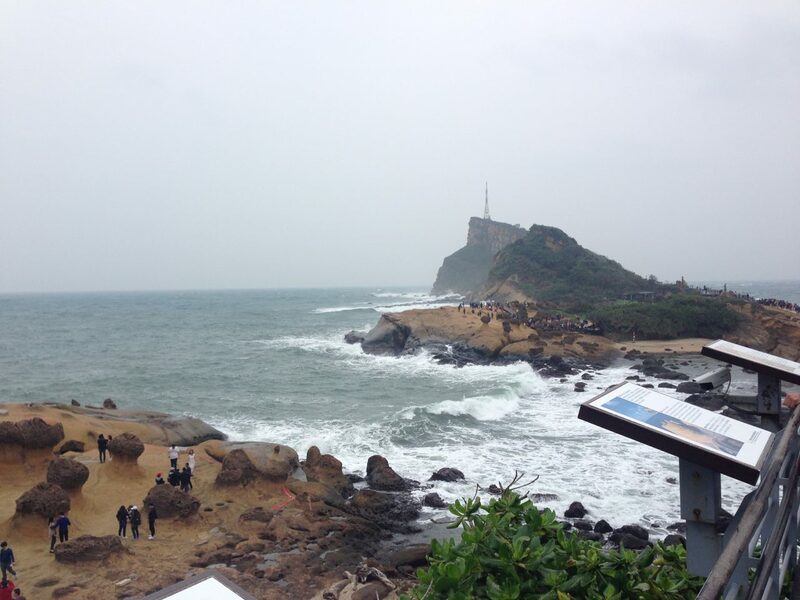 I was surprised when I got the tourist guide map that there are so many beautiful places to see in Damyang. Too bad I only allotted 1 day. Now there’s more reasons to come back. 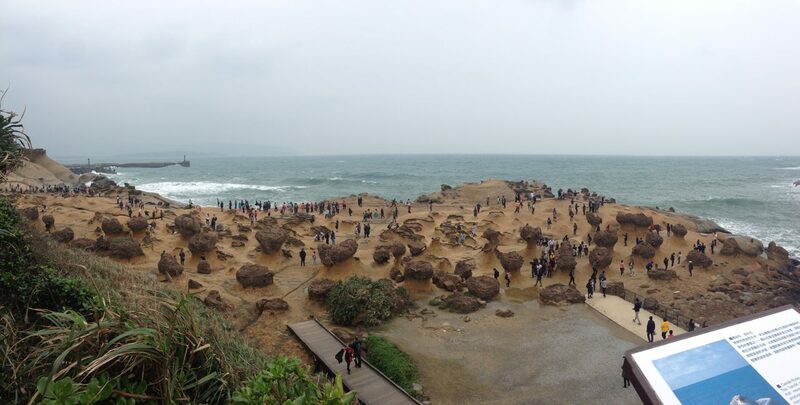 Jeju Island is one of the most captivating places in Korea. It is well-known for its scenic volcanic landscapes as well as beautiful beaches. A famous holiday destinations for travelers and honeymooners. Over the years, i thought traveling to Jeju would cost a fortune. But then I realized that you can travel to Jeju on a budget. There are over 200 flights to Jeju in a day. Most airlines fly like every 15mins to every 30mins to and from Jeju. I booked online at Korean Air when had their promo. It was around P1,600 for one way ticket from Gimpo Aiport. I know it was expensive compared to other airlines. But it’s Korean Air anyway, so fair enough. There are also guesthouses, pensions and hostels if you don’t want to stay in expensive hotels and resorts. The most convenient way to explore Jeju is to rent a taxi for a day. It will cost more than traveling by bus but it will save time and you can visit more places. Jeju Island is said to be 3 or 4 times the size of Seoul. So if you cannot visit all places in Seoul in one day, how much more in Jeju, right? If you’re wondering where to go in Jeju, check these places I visited for 2 days. I think this is the only place where you can ride a train in Jeju. The train runs through Gotjawal forest. It will take around 1-2 hours to explore the place. This is one of my favorite places in Jeju. Some people say ‘Those were just stones’. But for me they are more than stones. These stones came from Halla Mountain. In the museum, they play a 15-minute video about how Jeju Island was formed. It was an interesting story. It’s like you’ve travelled around the world in Jeju. This park features miniature versions of all famous landmarks in the world. This is one of the most famous beaches in Jeju. We just dropped by to take pictures. There was a moment when I had to choose between the Teddy Bear Museum and Hello Kitty Island. I’m not a hello kitty fan but this one is on my bukcketlist. Calling all Korean Drama fans! This is the shooting location of Warm and Cozy. I’m glad I made it here. There’s also a coastal walk path nearby where you can feel the breeze and smell the ocean. Udo Island is what I call An Island in an Island. You will need atleast 4 hours to visit Udo. A visit to Jeju will never be complete without visiting the UNESCO World Heritage site, Sunrise Peak or the Seongsan Ilchulbong. Seopjikoji is also another filming location of Korean Dramas. There are 2 maze parks in Jeju. Gimnyeong Maze park is the smaller one. It took us about an hour to find the way out. I’m not good at this. I almost want to give up. It was a dream come true to be lost in a maze. I’d recommend our driver, Mr. Koh if you want to visit these places. He speaks English well, you won’t have problem communicating with him. He’s nice, good driver/tour guide and good photographer as well. When you are in Jeju, never ever forget to try their abalone. Abalone porridge and abalone stew are my favorite. Another famous thing in Jeju is the ‘Haenyeo’. They are the lady divers who dive into the ocean to gather different kinds of seafoods. Some of them aged over 80 years old. They are often called the Korean Mermaids. They dive even on a freezing winter. There are other places I want to see in Jeju. I will surely find time to visit these island again some other season. You might want to include Jeju in your itinerary on your Korea trip. It’s a place worth visiting. Happy travels! I haven’t been to a lot countries because I only have limited time to travel as of now and it comes with limited budget as I’m in the corporate world. But I’m fortunate to have been able to explore some places. Here are some photos of the countries I visited so far where you’ll find reasons why you need to visit them in your next trip. Taean County is a county in South Chungcheong Province, South Korea. I’ve known this place because of the Taean Tulip Festival, one of the best tulip festivals in the world, I heard. This year’s tulip festival started on April 13 and ended on May 10. To be exact, I went to Taean last April 29 and there I witnessed thousands of colorful flowers in full bloom. Indeed the best flower festival I’ve ever seen. Going to Taean is a bit of a challenge if you cannot read Korean. Everything is written in Hangeul even the bus schedule in the bus terminal and the tourist maps. You’ll find no English translations at all. The theme of the festival changes every year. Last year was Monalisa and this year’s theme was world’s landmarks. Can you spot the image of Eiffel Tower from here? Just when I thought cherry blossoms are gone at this time of year, I found one pink cherry blossom tree in Taean. I’ve also seen other flowers in the festival site such as Canola flowers, Daffodils, etc. So pretty! I actually couldn’t find the right words to express how I felt after seeing these beautiful flowers. They’ve left me so speechless. Here’s a guide on how to go to Taean for you to experience the beauty of the Taean Tulip Festival next spring. From Seoul Nambu Bus terminal, take an intercity bus to Taean (￦9000). From Taean bus terminal, take a village bus bound for Geomseom 곰섬 (￦2200). Get off at Morenon bus stop. In a small alley, walk for about 15 minutes to the festival area. Admission Fee is ￦9000. Taiwan was not actually on my planned December trip because i’m already set to go to Perth, Australia until Airasia announced their new routes which were Taipei and Beijing in November. I instantly booked my roundtrip ticket to Taipei for only Php 2,100 and booked a hostel at booking.com. I used my valid and unused Australia visa to apply for visa exemption to enter Taiwan. 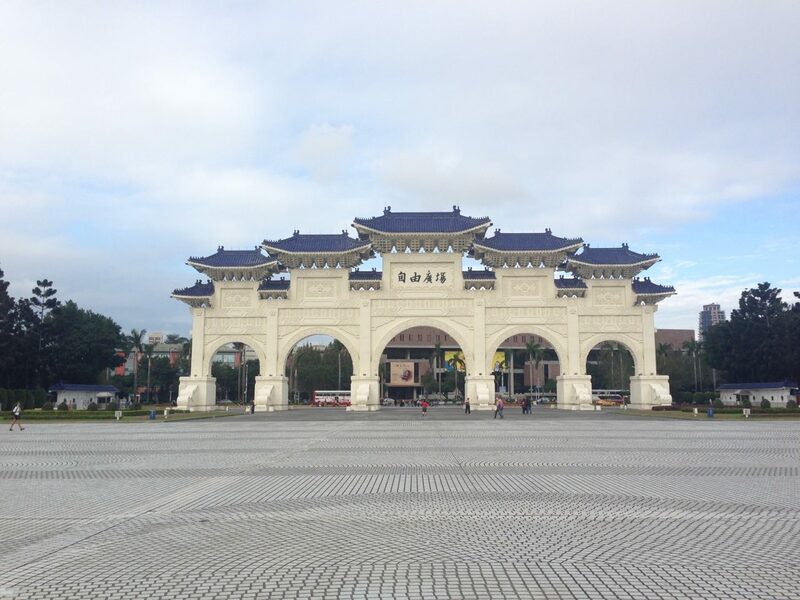 You may apply for visa-free entry to Taiwan here. It was so sudden but was so worth it. I arrived in Taoyuan International Airport terminal 1 at around 1am. So I had to stay at the airport until 5:30 am to claim the mobile wifi which I rented via Klook for 3 days. After claiming the mobile wifi, I proceeded to the lower floor of the airport arrival area to purchase bus ticket to Taipei. Travel time is roughly about 1 hr. I arrived at the Taipei Discover Hostel too early so I couldn’t check in yet. I just left my backpack at the reception, bought Easy Card at 7/11 and started roaming around Taipei. Easy Card is a transportation card for trains and buses. 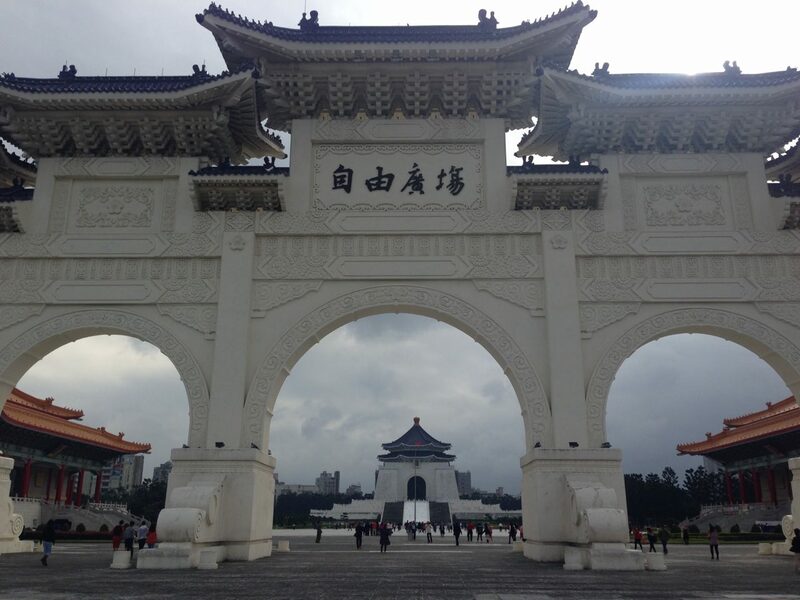 My first stop is Chiang Kai-Shek Memorial Hall. It’s best to visit early so you can take nice pictures of the place without the overflowing number of tourists. At 9am they started to open the hall with an opening ceremony with the guards. 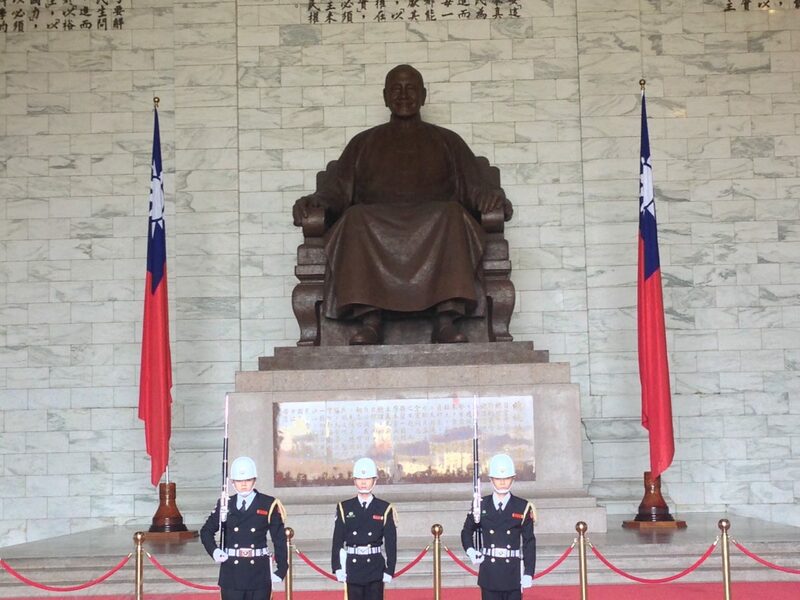 How to get there: Chiang Kai-Shek Memorial Hall Station. Exit 5. 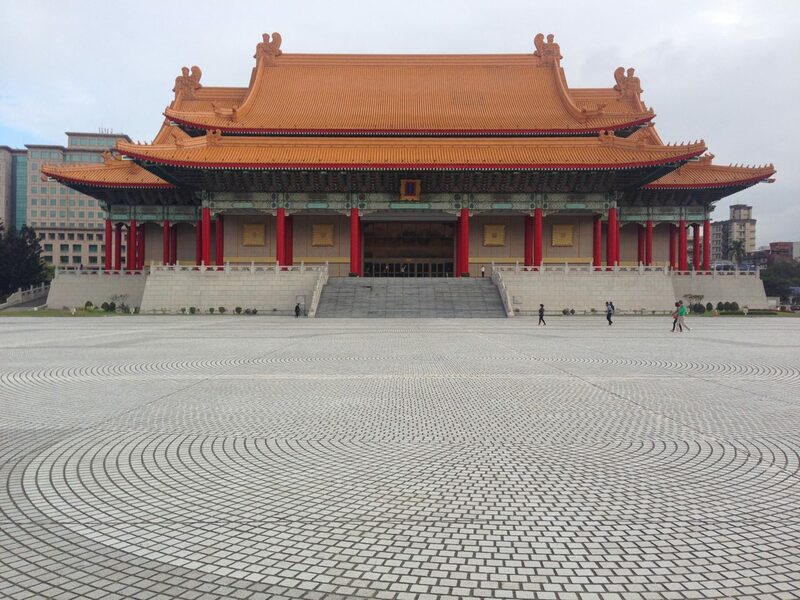 After spending hours in Chiang Kai-Shek Memorial Hall, I headed to the famous Taipei 101. 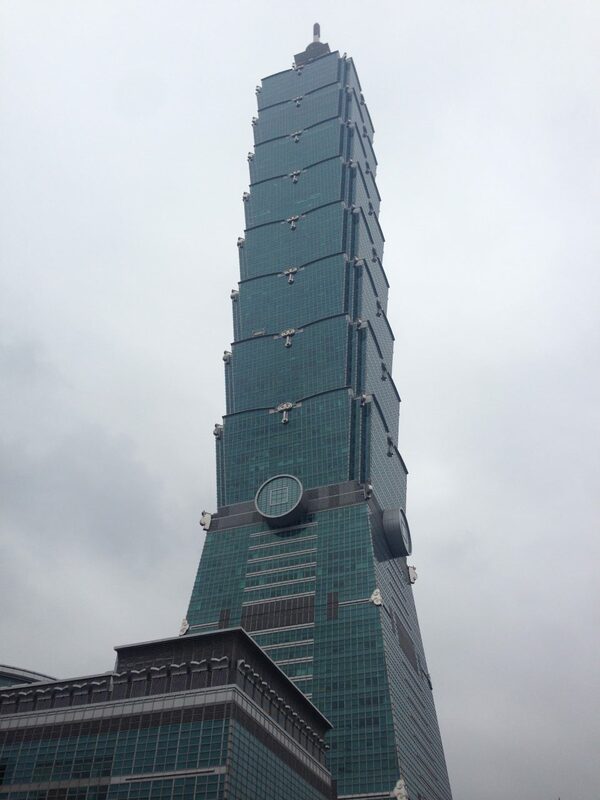 I only took pictures of Taipei 101 outside. I didn’t get to enter building to go to the viewing deck. After a while, i proceeded to Daan Park. There’s really nothing much to see but it was a good place to just relax and rest. 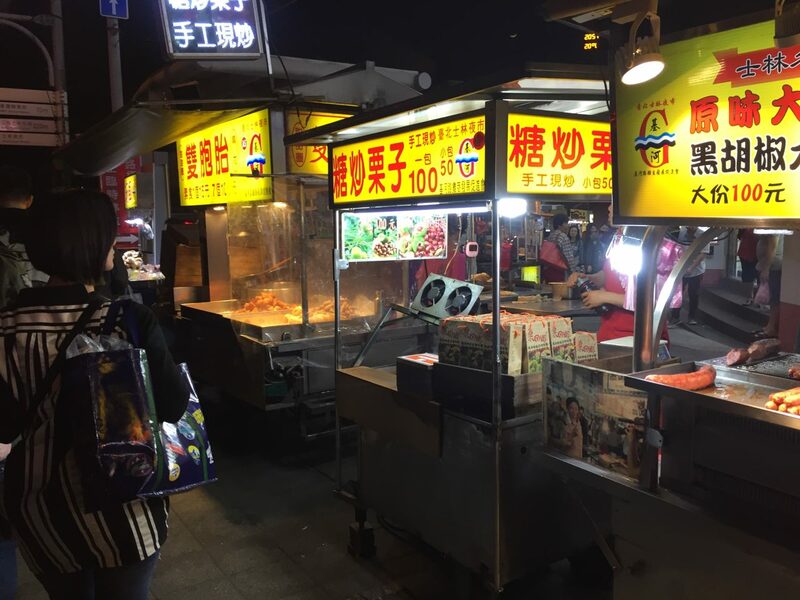 Went back to the hostel to take few hours sleep and at night I went to Shihlin Night Market to try some street foods for dinner. 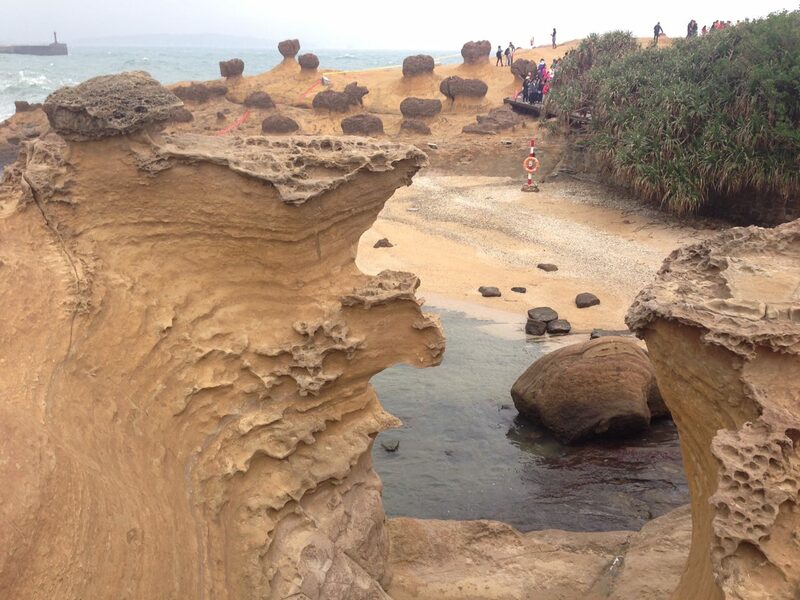 The next day I went to Yehliu Geopark. It took me a while to find the right bus terminal going to Yehliu at Taipei Main Station. There were 2 bus terminals. But there are some good people who can speak english and helped me find the right bus bound for Yehliu. Travel time was approximately 1.5 to 2 hrs. 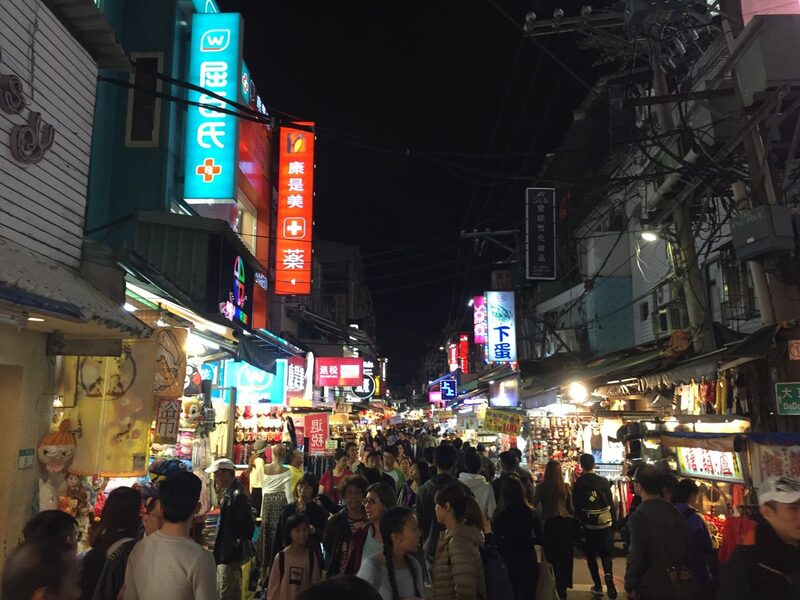 I only spent 2 hours in Yehliu before going back to Taipei to go to Ximending and the Elephant Mountain. An amazing view of the Taipei 101 from Elephant Mountain. I thought it was going to rain so I decided to come down sooner. 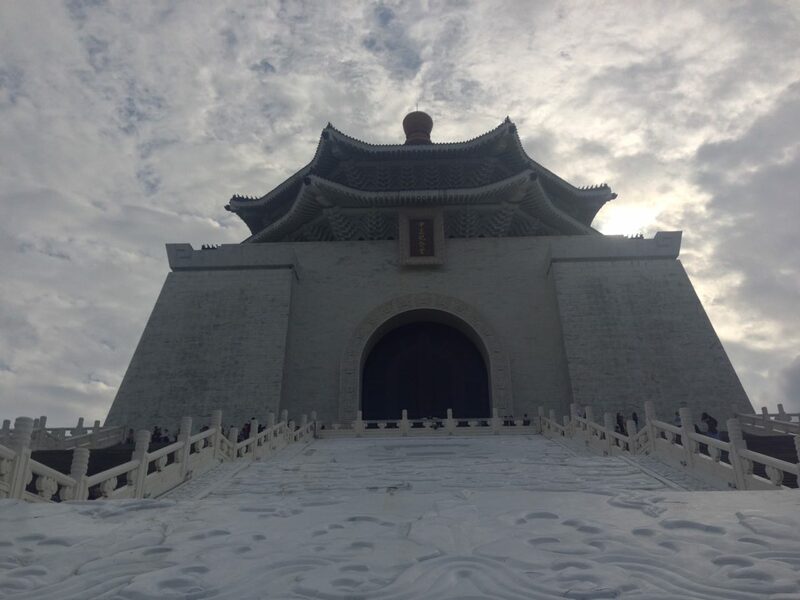 My 3rd and last day was for Longshang Temple, Sun Yat-Sen Memorial Hall and Tamsui. I was planning to go to the Fisherman’s Wharf but I ended up food tripping at Tamsui old street that i spent almost whole afternoon eating and watching people having great time at Tamsui. 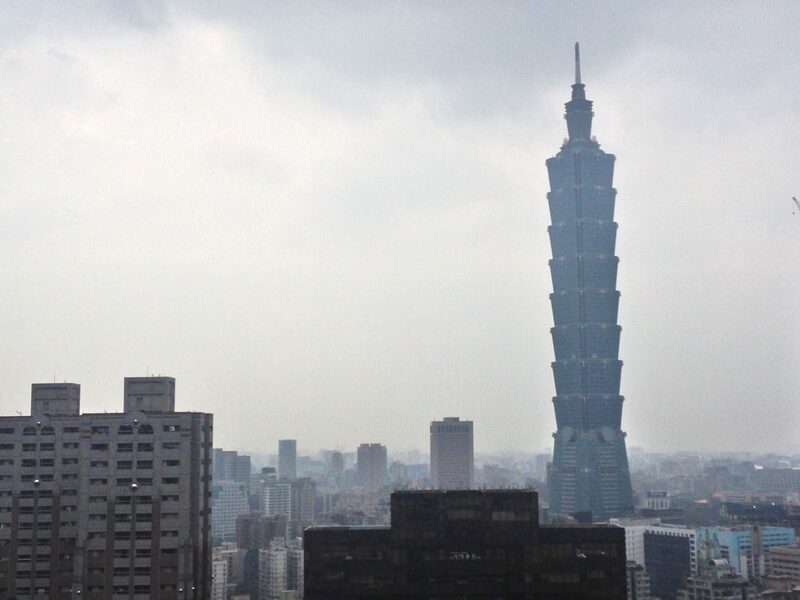 Filipinos may now enter Taiwan without a visa soon. So here’s the breakdown of my expenses for your guide.